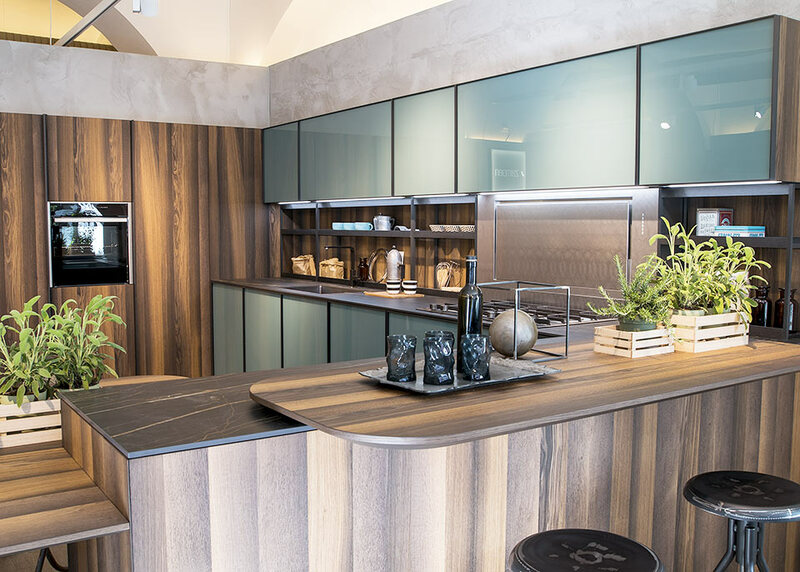 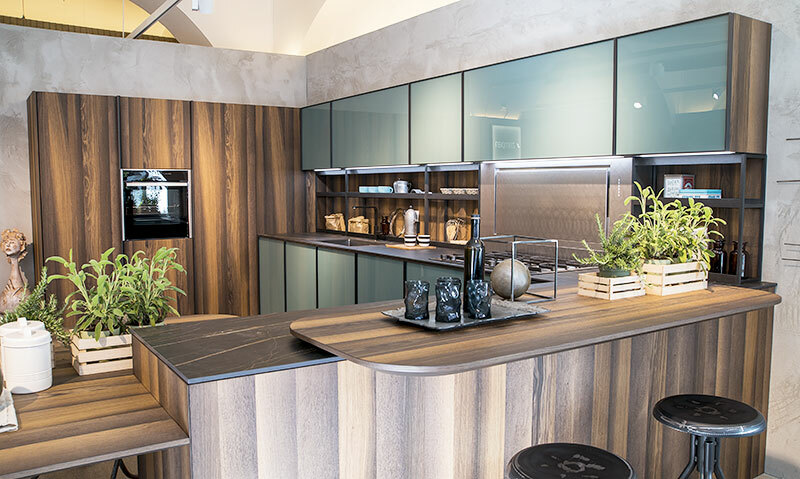 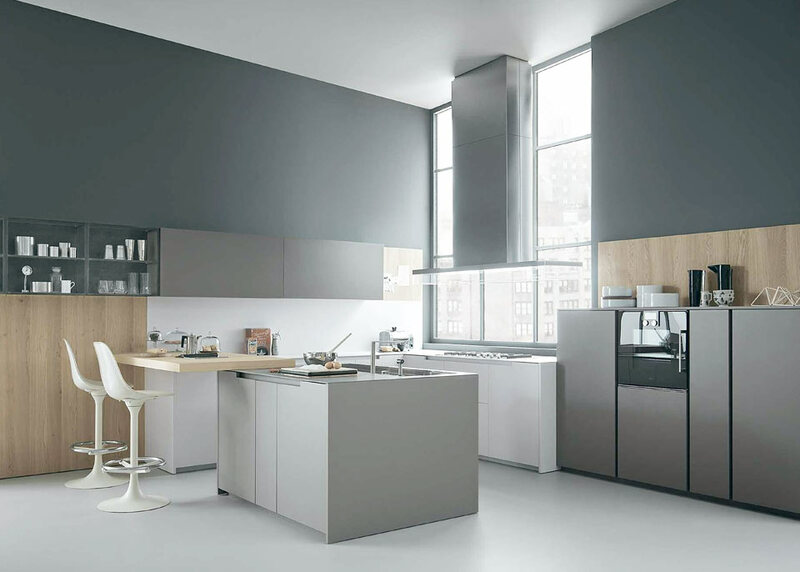 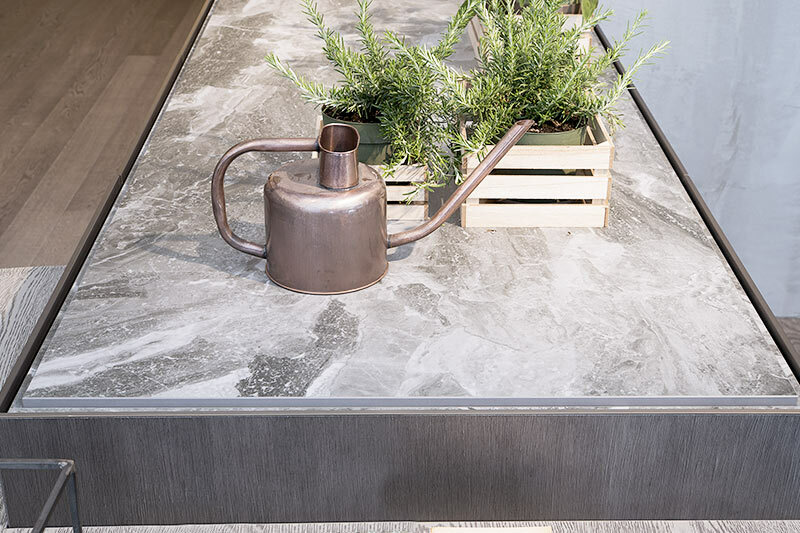 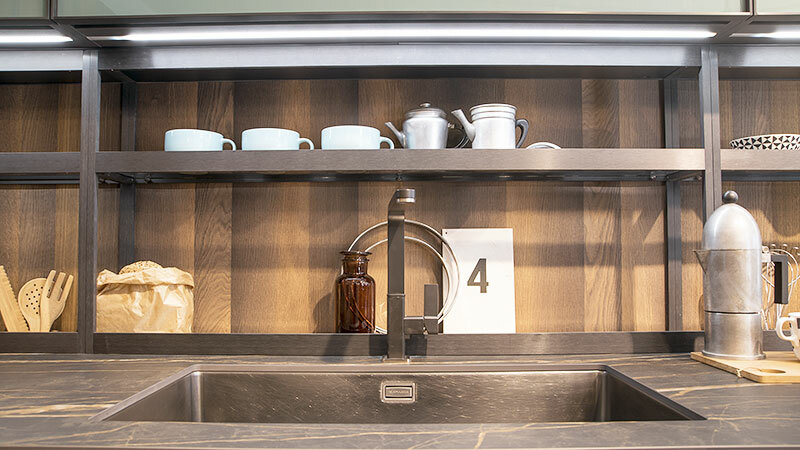 In Milan and Turin, Molino48 offers modern and designer kitchen solutions by adopting strict selection criteria in terms of quality, finishes and practicality. 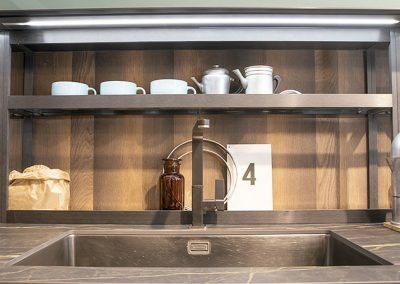 The kitchens are all entirely Made in Italy, built with artisanal precision and customized to create unique environments that may also be fully integrated with the living area. 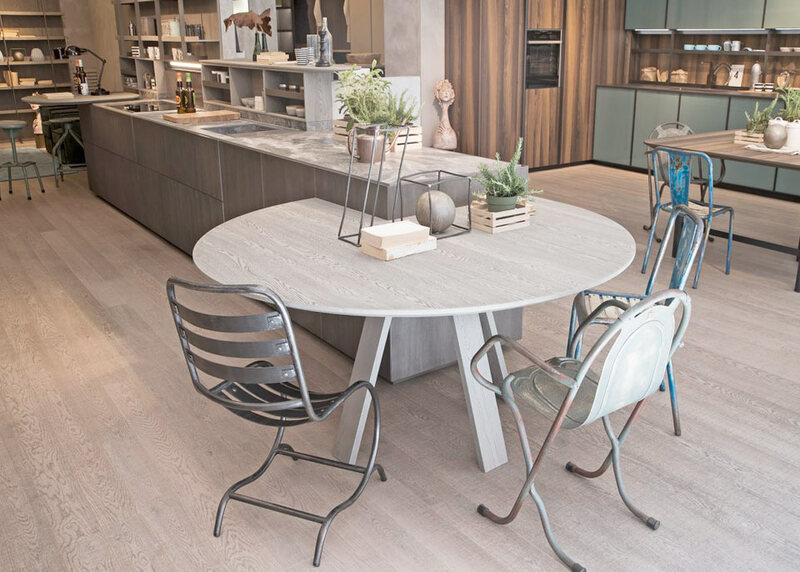 IN THE SEGNI COLLECTION BY ZAMPIERI, KITCHEN AND LIVING AREAS BLEND SEAMLESSLY. 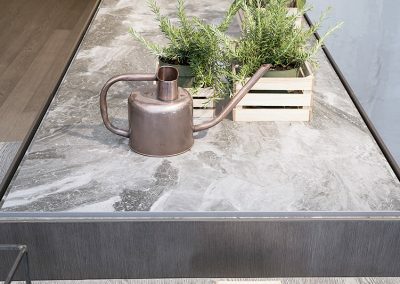 The new Segni kitchen is a collection defined by an urban styling and is presented in delicate shades, innovative finishes and unmistakable design traits. 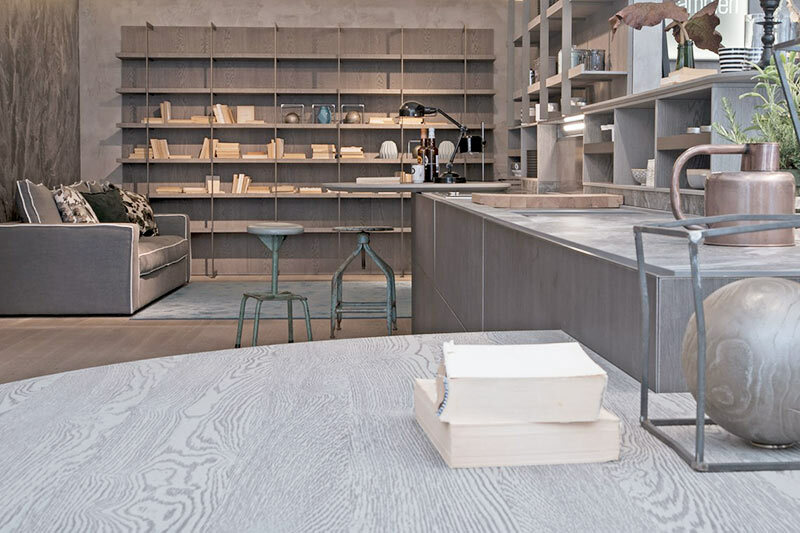 A pared-down impacting look is presented in an original and elegant stylistic continuum, in line with the current design requirement to integrate the living area with the kitchen. 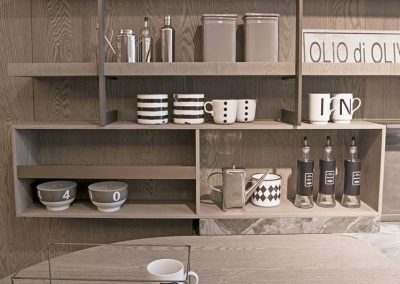 In this collection, linearity, a winning and engaging design and refined finishes identify the most innovative elements which forcefully express a mature yet contemporary personality. 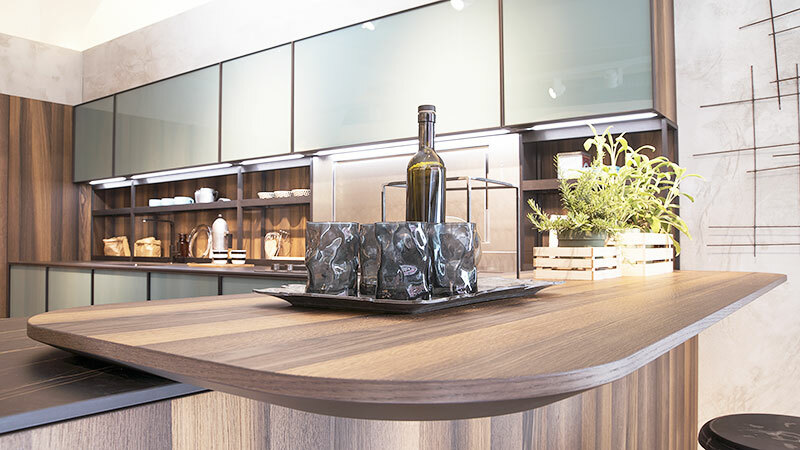 XP extends its unique style to the living area and furnishes the area adjacent to the kitchen in a way that reflects its austere design and finishes, adorning the heart of the home with a look that is refined and high-tech. 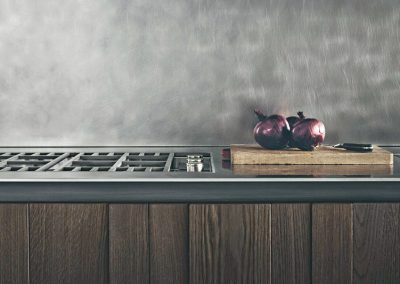 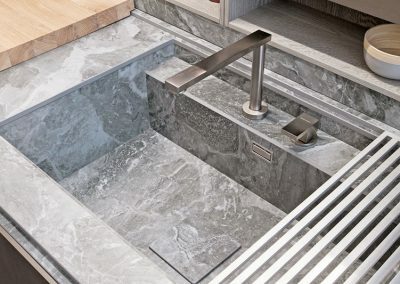 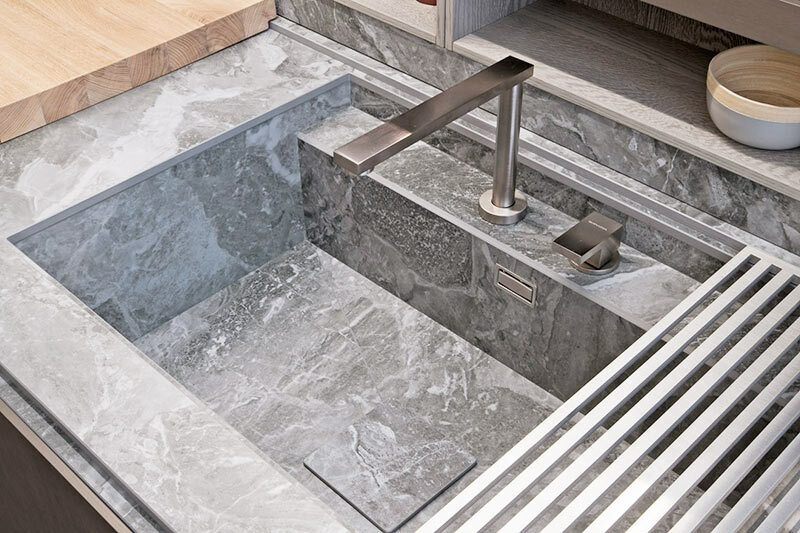 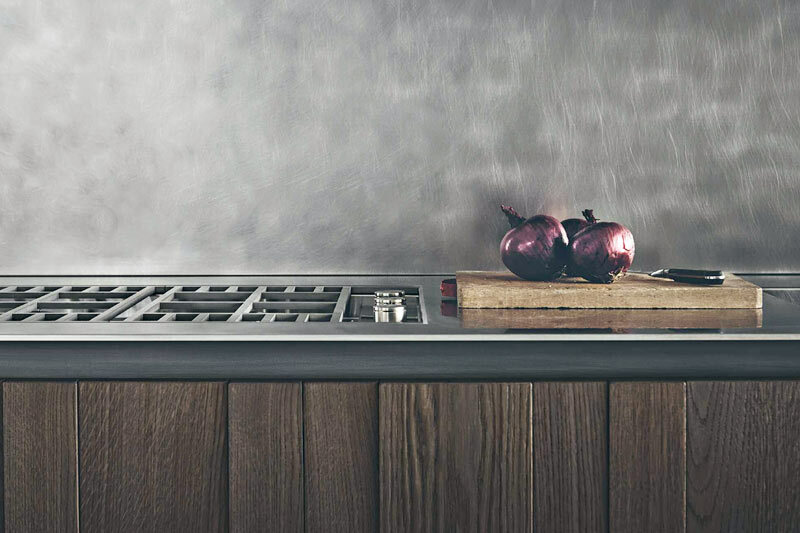 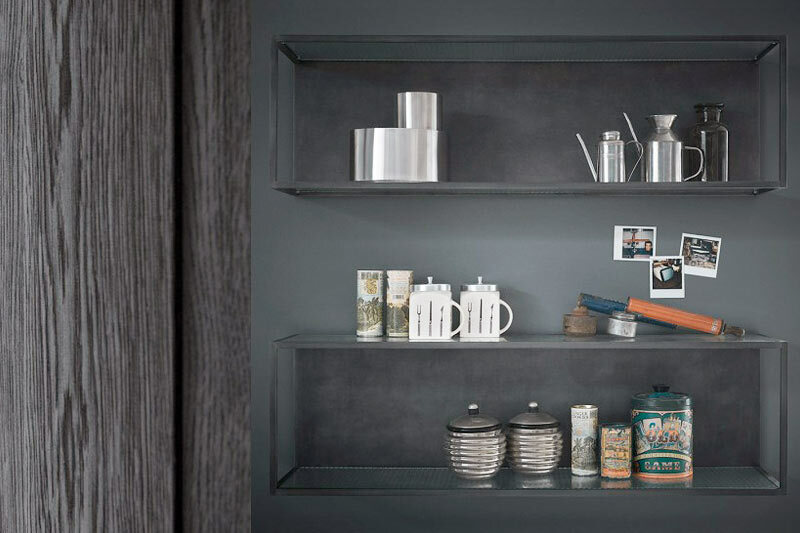 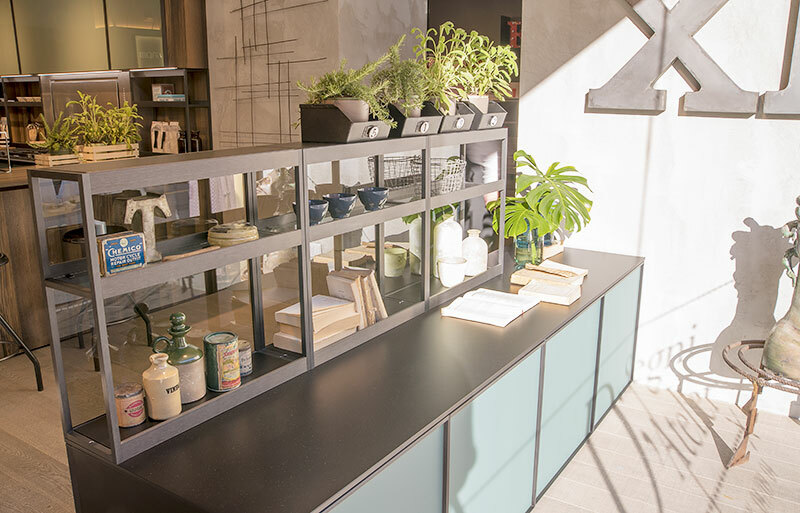 XP is of strong visual impact and highly functional with its Xplain open compartments in aluminium, which may be inserted as flat rest surfaces either on the island elements or wall system, and lend themselves to being fitted with various accessories. 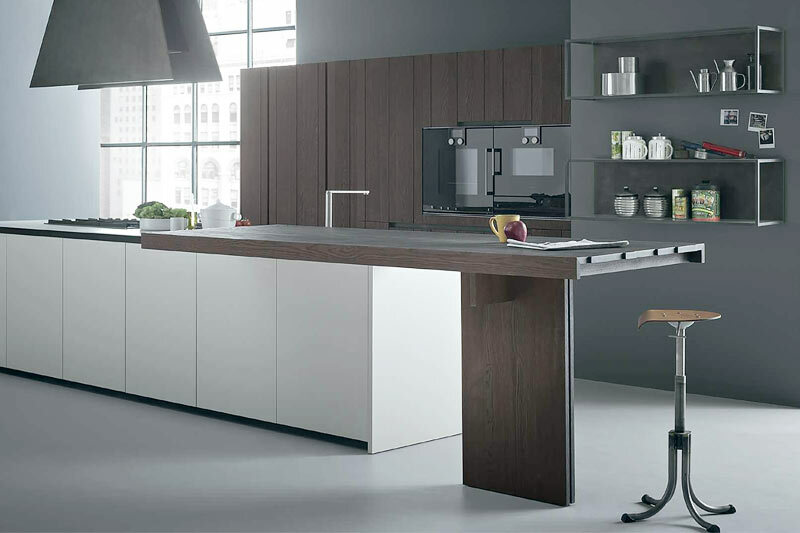 Minimalism, gravitas and elegance are the emotional keys defining the FIFTY kitchen system by Zampieri. 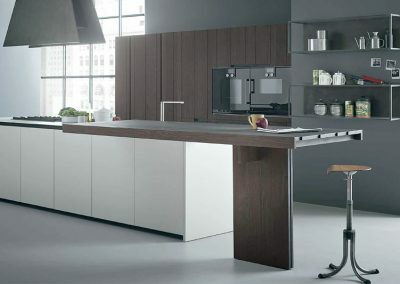 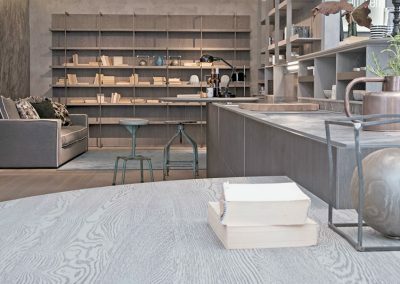 The unquestioned protagonist is wood and its tactile sensations, enhanced by the new finishes in coarse-grained, sanded and oxidized oak presented in five colours: naturale, sand, cenere, bruciato and brown. 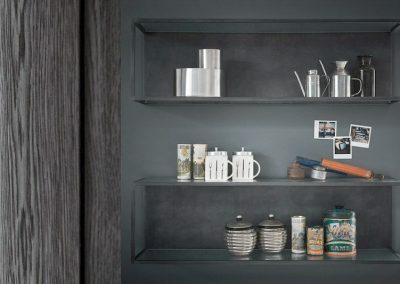 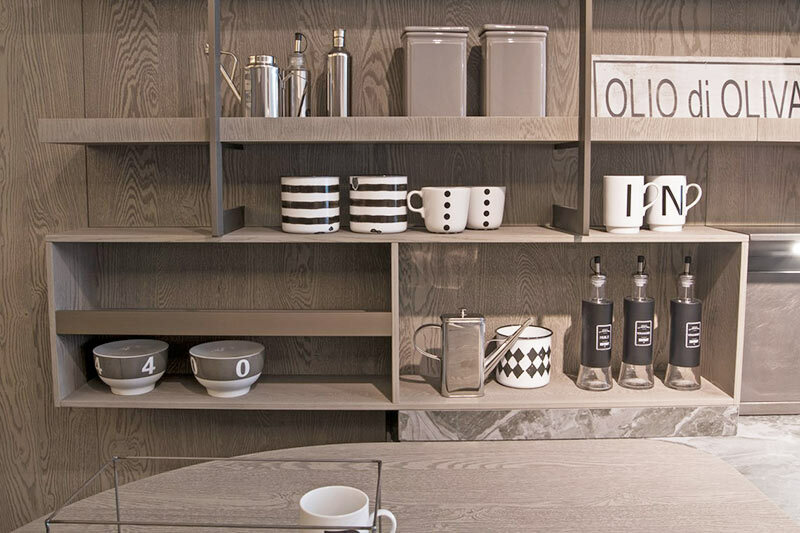 In the FIFTY kitchen collection, on-going research translates into an original design that appears on the door panel or the snack counters, and in their unique profiling created by the union of slats of different depths. 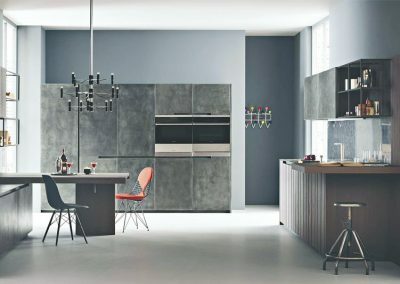 With its Fifty collection Zampieri provides designers with a selection of unique materials and an exclusive customized installation which is truly sartorial: kitchens and living rooms crafted with meticulous care, quality and reliability. 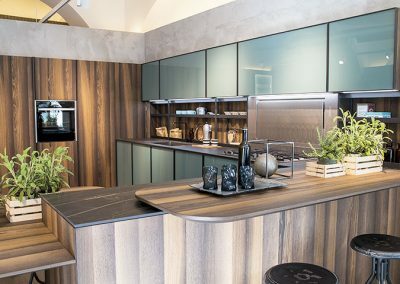 MOLINO 48 provides an opportunity to discover the full range of Zampieri kitchens and enables you to personally experience the range of finishes and textures which may be combined to make your kitchen truly unique and timeless. 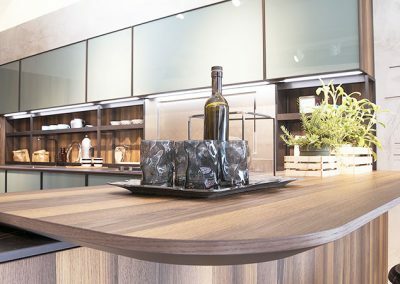 Our Team is on hand to guide you in your choice of the optimal solution for enhancing your domestic interior.